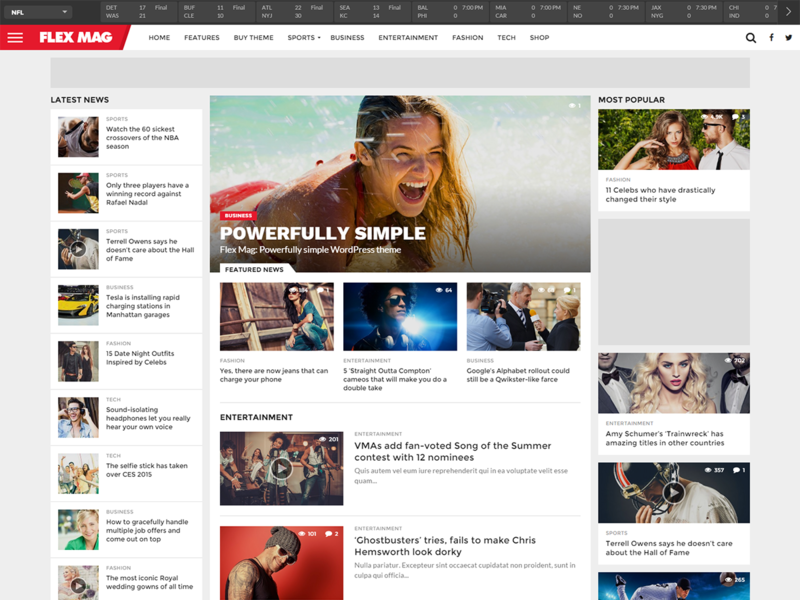 Flex Mag is the perfect combination of power and simplicity in a WordPress News & Magazine theme. Flex Mag does not require any coding knowledge and gives you the options and flexibility to put together the ultimate news site, but in a simple, straightforward way that doesn’t overwhelm you. Flex Mag comes with a custom Fly-Out Navigation, custom scoreboard, auto-load posts, 4 different pre-set skins, 8 different Featured Posts options, 8 different article templates, 700+ Google Fonts, and so much more!